American Indian Dog Characteristics: The Self-reliant and Canny American Indian Dog is a breed of medium sized dog, classified as a member of the Working Dogs Group. The American Indian Dog, is characterized by its alert, athletic, wolf-like appearance, a true outdoor dog with friendly, docile expression. This highly protective, versatile dog is highly intelligent and extremely territorial. The characteristics include a long wedge-shaped, black muzzle; pale, medium sized, almond shaped eyes; long, wideset, triangular-shaped, pricked ears; a bushy tail and a brisk, tireless gait. The temperament of the American Indian Dog can be described as Territorial, cautious, alert. The coat type of the American Indian Dog is described as short, dense coat in assorted colors. Due to its characteristics and qualities, the American Indian Dogs demonstrated versatile desired traits including those of a Watchdog, guard dog and hauler and is known by its nick name the "AI Dog". The origin of the American Indian Dogs was in United States where it evolved in Ancient Times. American Indian Dog Breed Group and Dog Type - Working Dog Group: The American Indian Dog is one of the many breeds of dogs that belong to the Working Dog Group. Other names for the American Indian Dog: The American Indian Dog is known by the nickname of the "AIDog". Other names for this breed of dog include the Native American Indian Dog and NAID. Origin of the name: The origin of the name "American Indian Dog" derives from its place of origin and its original owners, the Native American Indians. American Indian Dog History and Origin: The country of origin of the American Indian Dogs was in United States and the dogs date back to antiquity. The American Indian Dogs are directly descended from the Gray Wolf and the indigenous tribes of America began the evolution of the wolf to the domestic dog. The early Native Indian tribes are believed to have tamed wolves and introduced selective breeding programs to eliminate dogs with aggressive natures and by including desirable traits such as strength, speed, a good temperament and keen senses. The versatile American Indian Dogs were used for hauling, tracking, hunting, fishing, food, clothing, warmth and companionship. Native Americans had no knowledge of the wheel and the American Indian Dogs were the only beasts of burden available in America until the Spanish introduced the horse in the mid-1500s. The American Indian Dogs were therefore highly valued for their ability to haul goods and possessions that were loaded on to a Travois, the tribes only form of transportation. The travois hauling American Indian Dogs were able to travel 2 - 3 miles per hour harnessed to the wooden frames and poles of the travois. The American Indian Dogs were traded by all the Indian Nations and different coat types emerged to suit the snowy environment of Arctic and Subarctic tribes to the warmer climate of the Great Plains and Plateau tribes and the hot swampy terrain of the southern tribes. The American Indian Dogs were close to extinction but packs have now been bred by specialized breeders. Some American Indian Dogs have been taken in by families who have found that they good, intensely loyal, family pets. For additional information refer to the Carolina Dog. American Indian Dog Height: The American Indian Dogs are classified as medium sized dogs. The height to the shoulder of a male is 18 - 20 inches (46 - 52 cm). The height to the shoulder of a female is 17 - 19 inches (44 - 49 cm). American Indian Dog Weight: The weight of the American Indian Dog male in these medium sized dogs is 35 - 60 pounds (14 - 25 kg). The weight of the smaller female is 30 - 45 pounds (11 - 18 kg). American Indian Dog Coat Type: The weatherproof, double coat is described as a short, thick, plush undercoat with a long outer coat (guard coat) that stands off from body. American Indian Dogs shed only once a year during the spring months. American Indian Dog Coat Colors: The colors of American Indian Dogs consist of assorted colors ranging from silver, gray to black, tortoiseshell, or have a broken color pattern. American Indian Dog Grooming - LOW Grooming Needs: The grooming needs of the American Indian Dogs are categorized as Low in order to maintain a healthy coat and reduce the risk of skin infections. The limited grooming needs of the American Indian Dogs are considered to be low maintenance, requiring limited attention to grooming where brushing and combing, is concerned. Grooming Requirements should include bathing the dogs on a monthly basis and making regular inspections of the nails, teeth, eyes and ears. American Indian Dog Litter Size: The litter size of American Indian Dogs range from 2 to 5 puppies. American Indian puppies for sale can be obtained reputable breeders and from rescue centers. The cost of American Indian puppies varies depending on location, pedigree history and the dog breeder. American Indian Dog Temperament and personality: The temperament and personality of the American Indian Dog is described as Self-reliant, Territorial, cautious, alert and Canny. American Indian Dog Exercise Requirements - MODERATE Exercise Requirements: The exercise requirements of this breed of dog are moderate. The American Indian Dog requires regular daily exercise consisting of approximately one hour every day. This medium sized dog has a brisk, tireless gait with strides of a moderate length requiring a steady walking or jogging speed by the owner to meet the dogs exercise requirements. If the dog has more energy than you do, then teach your American Indian Dog to play ball in a chase and catch game. American Indian Dog Diet: Fully grown American Indian DogS should be fed twice a day. A diet consisting of a premium dog food can be balanced with fresh food eaten by the family. The question is What Can Dogs Eat?. Check out our comprehensive list of what dogs can and what dogs cannot eat. American Indian Dog Health Problems: Potential health problems of the American Indian Dogs include Cataracts, epilepsy and hip dysplasia. Resolving health problems can prove to be expensive and it is always wise to obtain pet insurance or health insurance when buying a dog. Are the American Indian Dogs said to be Hypoallergenic? Answer: No. American Indian Dog Lifespan: The life expectancy of dogs vary according to the size, breed of dog and any serious health problems. The typical lifespan of the American Indian Dogs are 14 to 18 years. American Indian Male Dog Names: Male names are most often chosen to reflect favorite names of the owner or the strength, size, coloring and country of origin of the American Indian Dogs. To give you some inspiration regarding good male American Indian Dogs names our small selection might be of help with naming boy dogs. Our top male names are: Jax *** Romeo *** Rex *** Shadow *** Tucker *** Duke *** Bentley *** Winston *** Sam *** Zeus *** Marley. 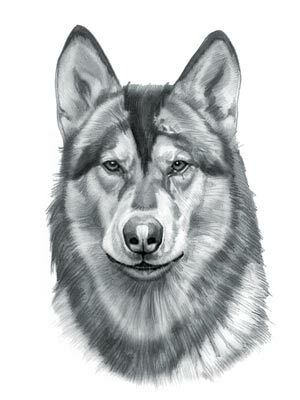 American Indian Dog Female Dog Names: Female names tend to be softer, prettier and reflect the temperament of girl dogs. Our top choice of good female names are Jessie *** Willow *** Dakota *** Honey *** Layla *** Princess *** Maggie *** Sadie *** Sasha *** Lulu *** Missy *** Maya.